Free Service: Building a new home in the Columbus, Ohio and surrounding areas can be challenging. Having an experienced REALTOR® protecting your interests can save time, money and frustration! As a new home specialist, we will help you make the best choices for your new home, AT NO COST TO YOU! How long will it take to build a new house? What if I have a house to sell? Why do all of the different Columbus Ohio Home Builders have different options? Why is one builder so much more expensive than another? Do I need to make deposits and house payments as the house is being built? Why are the builders finance rates so low and is this really a good way to finance? How do I know if the builder has cost built into the price that I DON'T have to pay? Should you have a Real Estate Agent When Buying a New Build? Do builders offer credit repair programs while I am building? Is there such a thing as no money down with new builds? Are new builds a good value compared to current inventory? Some New builders offer trade in programs of your current home. New Millennium Realty has the list of builders. We can represent you on the purchase of your new home at no cost. 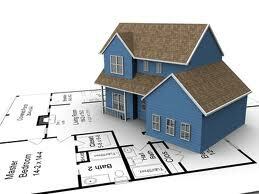 We work with the builder regarding the possible trade in of your current home. We are internet marketing experts should you want to list your home. Contact us about if you would like to trade in or list your home. 1. The new built home has never been lived in yet. 2. Energy star ratings will save you money. 3. If your renting you’re not getting your tax benefits of owning a home. 5. When building a new built home the buyers the opportunity to have a house built to specifically fulfill their needs. 6. Builders usually offer incentives to help with closing cost and some offer free upgrades. 7. When looking for a home, buyers often finds the house they want, yet don't like the neighborhood or vice versa. When you build your house, you are more likely to be able to choose the location you want and the house. Now that you see the benefit of new builds CLICK HERE to set up time to meet with one of our team members.